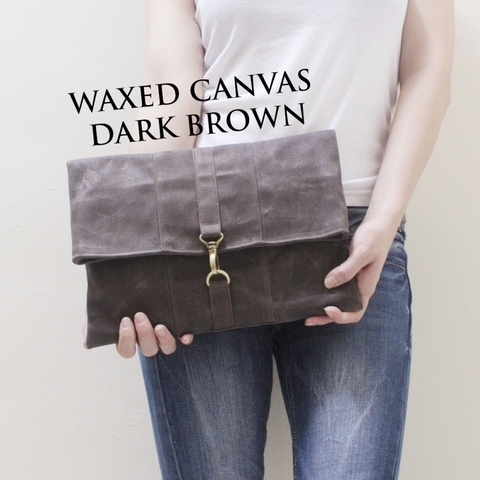 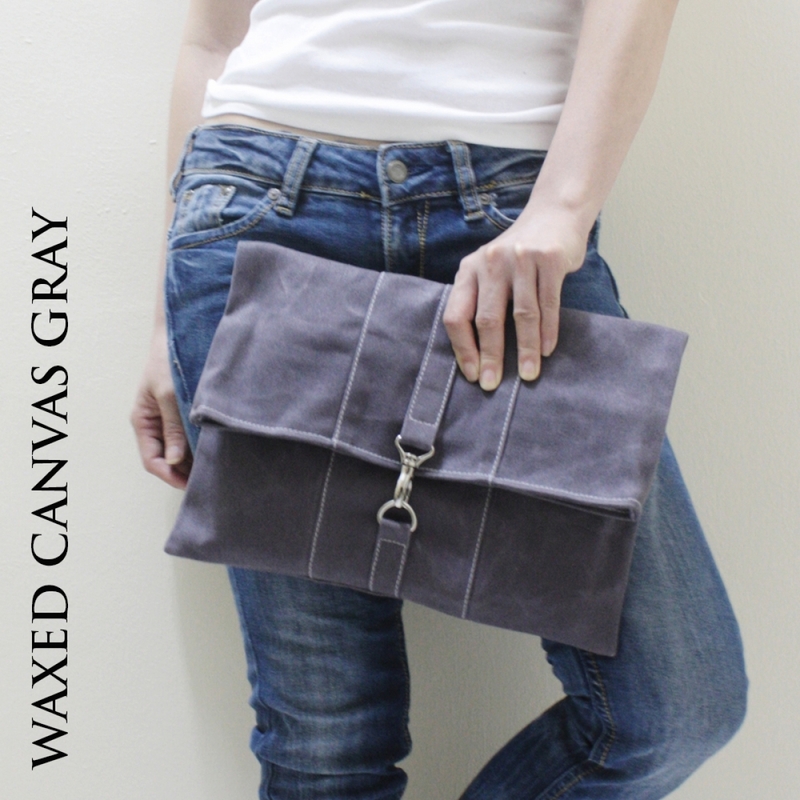 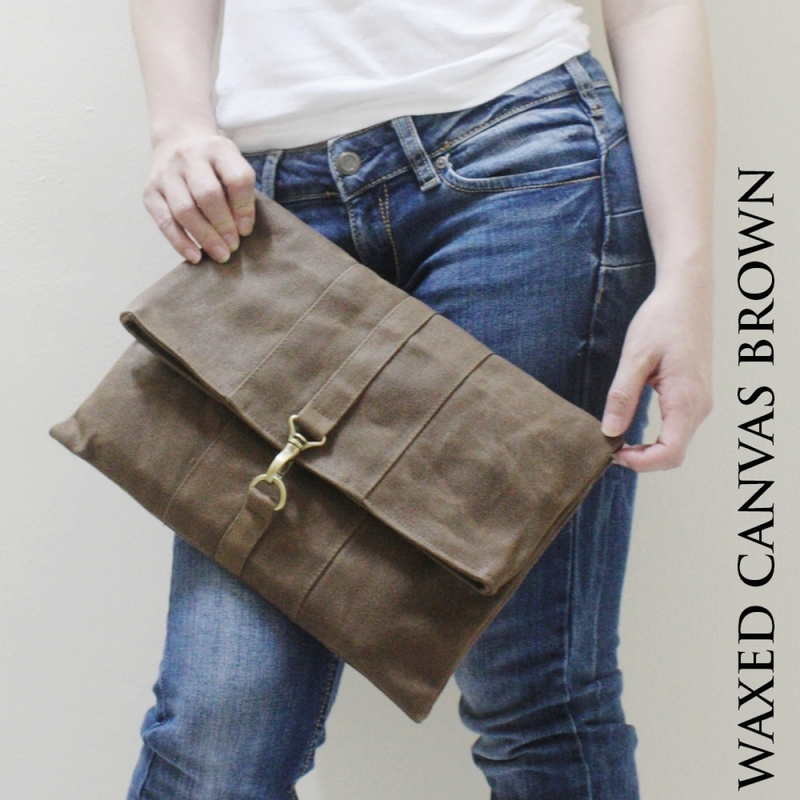 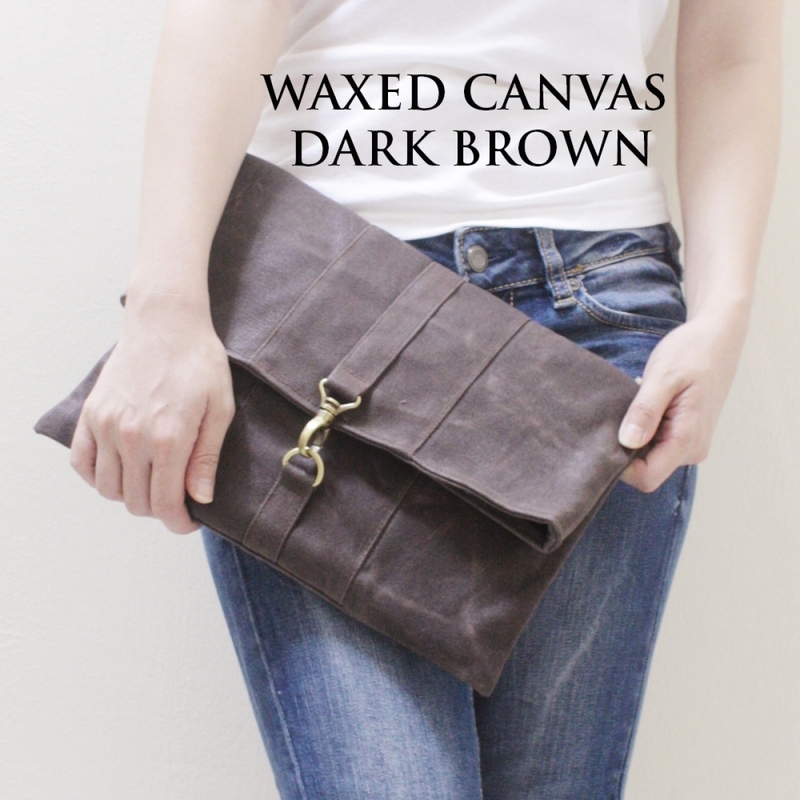 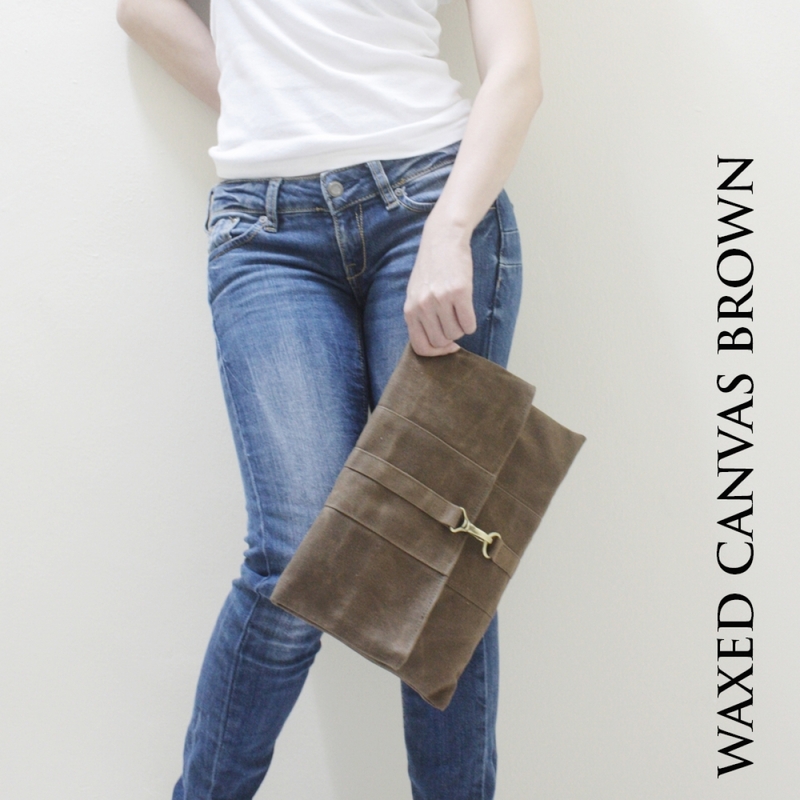 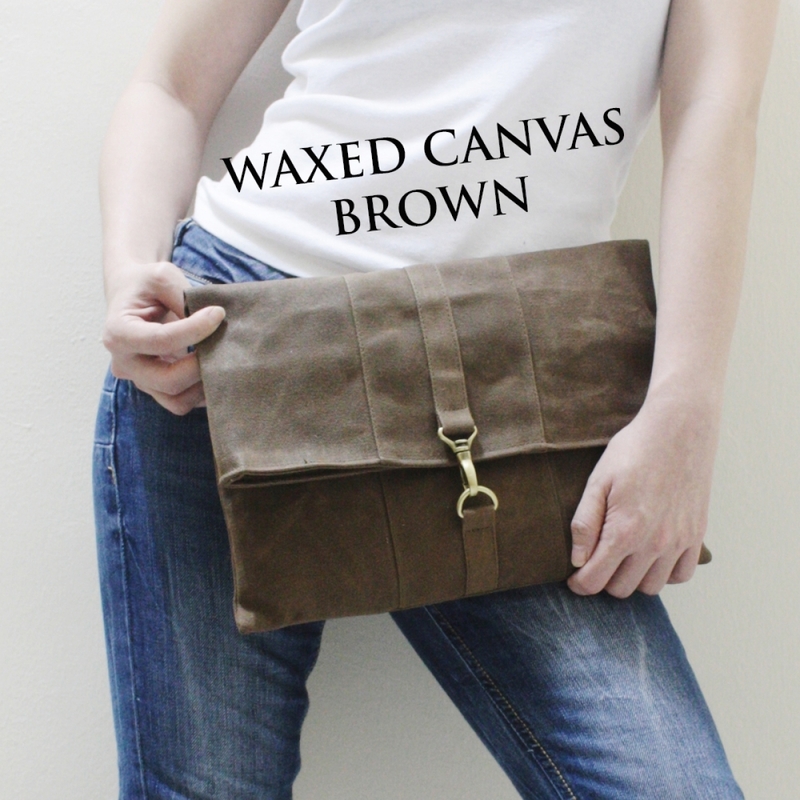 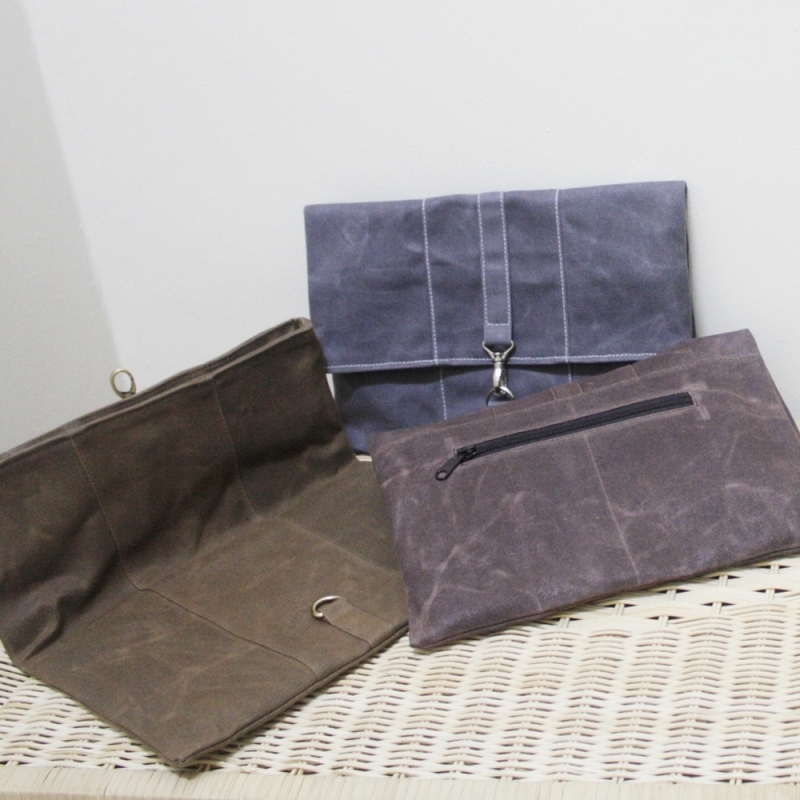 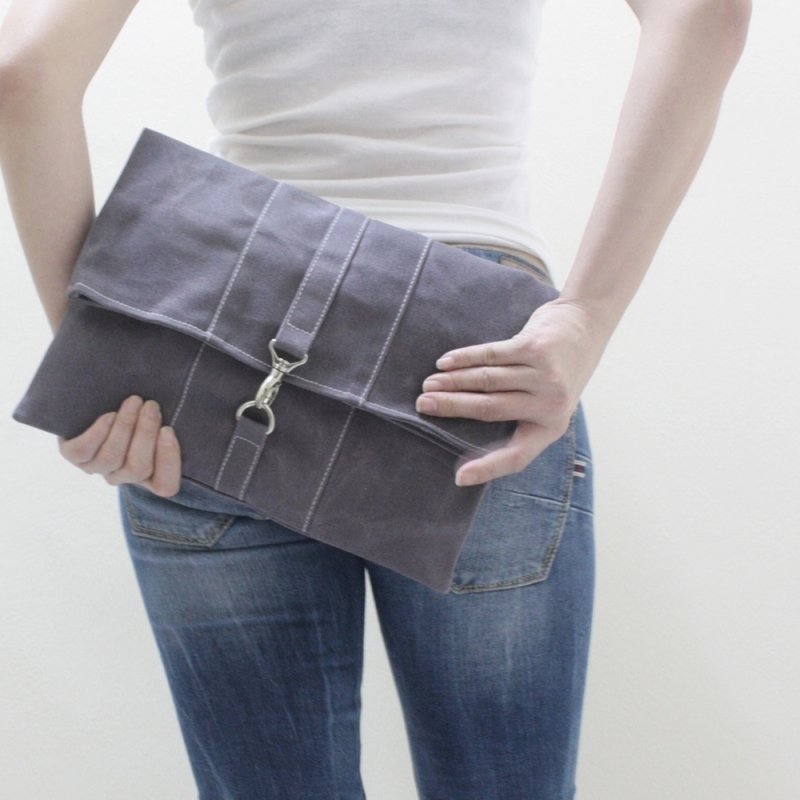 WITT Clutch bag is made from a WAXED CANVAS in GRAY(Purplish Hue Gray) and fully lined in ivory cotton. 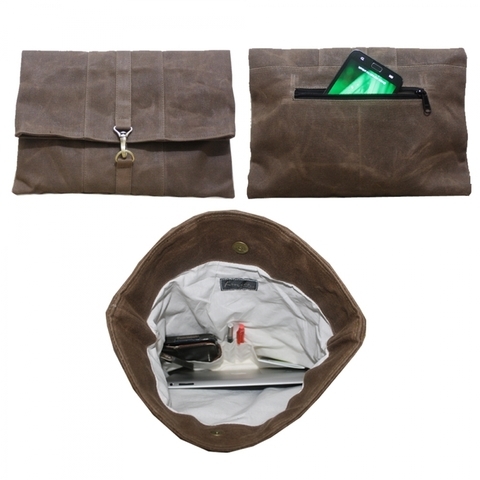 It hold your essentials… iPad, keys, wallet, phone and etc. 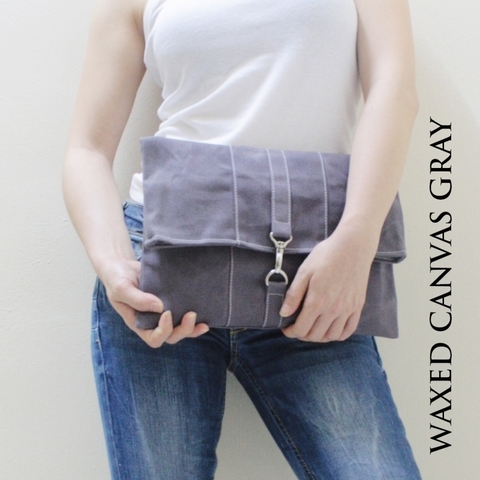 and the 7 inches zipper pocket at the back side of the clutch bag made to hold your smart phone, coin, cards or any smaller gadgets. 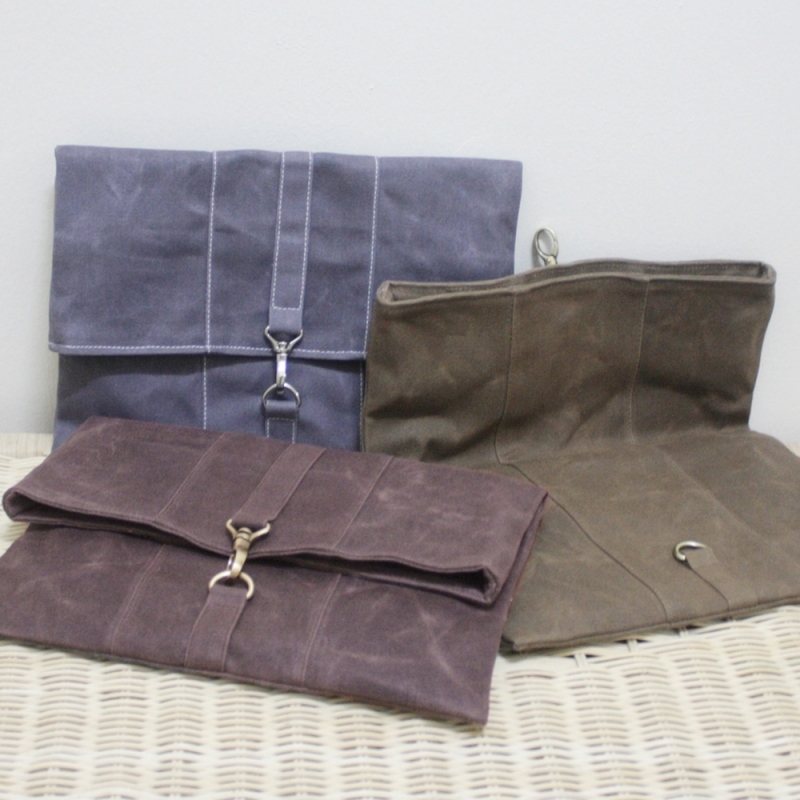 * iPad Sleeve or iPad Case * Dinner * Clubbing * Work * and many more..
2x Pocket: (W)4.5" x (L)5"